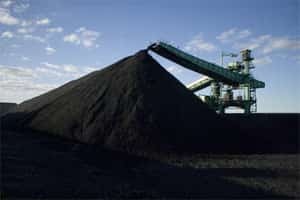 New Delhi: Coal India Ltd (CIL) on Wednesday said it has lowered its production target for the fiscal year to at least 440 million tonnes (mt) from the estimate of 452mt in its annual plan. The public sector company also said it was planning to mine between 556mt and 615mt of coal in the terminal year of the 12th Five-Year Plan (2012-17). “We are looking at two scenarios...one is business as usual...it would be 556mt in the terminal year of 12th Plan. And the other scenario is 615mt," he said. Earlier, CIL had asked the government to scale down its production target for fiscal 2012 (FY12) to 448mt, fearing it will not be able to make up for the slippage in output in the first half of the fiscal. The state-run firm missed its April-September target by about 20mt, recording an output of 176mt against the target of 196mt, which it has blamed on inclement weather, including heavy rains in August-September that affected production in almost all its collieries.